Working in the UK NHS, and with NHS blood and transplant as hospital transfusion committee chairman, I feel there is an enormous need to create awareness and advise on safer blood transfusion globally, especially among the Afro -Asian communities where first degree relative blood donation remain the common sources of blood transfusion. NHS has the safest blood donation record in the world and behind this there are huge effort and constant work in progress. Safer blood saves lives at the same time unsafe or in appropriate blood transfusion can have grave and serious consequences in human health. Janaan health aim is to promote safer blood and blood component transfusion globally via education, create awareness and advice among health care providers, patients, relatives, and support groups. 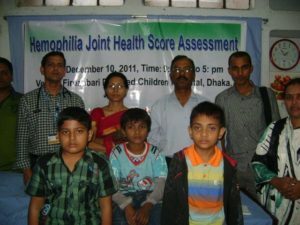 Our joint effort recently have change and created awareness among physicians in Bangladesh to use cryoprecipitate first time haemophilic boys in Bangladesh in 2014 after a huge campaign with major tertiary hospital and blood donation centres in Dhaka. 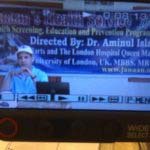 This was joint a project with The Royal London hospital and BSSMU , Dhaka medical , Dhaka children hospital and Red crescent. We will continue to work towards safer bloods globally. © Copyright 2017. Janaan Health. All rights reserved.